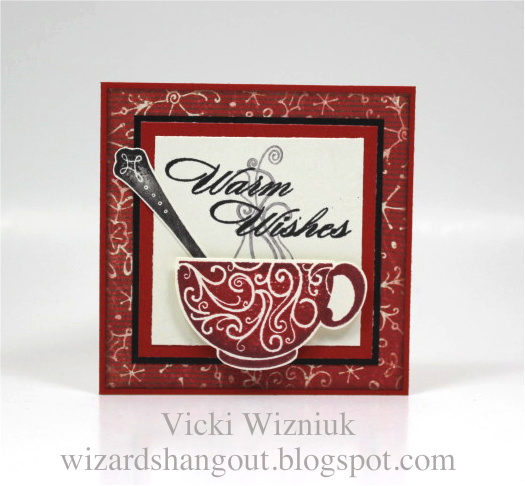 I was hopping around blogs again today and found this cute little 3x3 card and feel in love! I tried to put the spoon on my card too but I kept cutting it in half and stamping it directly on the card just did not look correct to me. And of course I found some things to approve on after I finished my version but I scrap like a cook… you always follow the recipe the first time then “Jenny it up” on the second round. Try your hand at making some 3 x 3 cards. They are fun, easy, and make great little thank you cards to have on hand.